​Some entries on the day will be available on a first come first served basis. Emails have been sent to all riders - please check your junk mail if you haven't had it. "Having participated in quite a few sportives, the facilities, directions, route and helpfulness of all the volunteers involved, were a joy! I shall be returning next year." The Tommy Godwin Challenge sportive was set up in 2013 to honour the memory of 1948 Olympic cycling medallist Tommy Godwin. 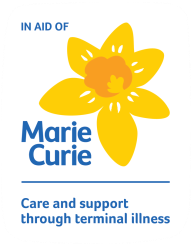 All profits go to fund the West Midlands Marie Curie Hospice in Solihull where Tommy spent his last few days. So far we have raised over £60,000. There are three routes, 30, 73 and 100km. The 30km ride is for families and the less experienced cyclists. The more challenging 100km sportive route and the intermediate 73km sportive route both have refreshment stops and timing. The well-signed routes wend their way through the Warwickshire lanes, with the 100km sportive making a brief foray into Worcestershire via Feckenham. There are a couple of fords en route for the adventurous, but don't worry there are alternative paths! With only a couple of climbs, it's the ideal event both for the experienced rider and those looking for their first sportive. Want to raise more money through sponsorship? Find out more here.